So I’ve got much catching up to do. Many films were viewed, many books were read in this long absence for Febriblog, but as I feel compelled to write on them, I will. This time has been taken to attempt, gasp, creative writing once again, in hopes to one day use this here outlet to hawk my own projects. That’s what having a blog is really about these days, isn’t it? Anyways, today I bring you one of the finest experimental shorts I’ve come across lately, a particularly brutal re-appropriation of a semi-forgotten Barbara Hershey-starring horror film titled The Entity from 1982. In this film, filmmaker Peter Tscherkassky assembled found footage, and in the grand tradition of Mekas, following through to the more recent works of Bill Morrison, takes this footage and manipulates it to the point of pure abstraction. Outer Space is truly a masterwork of editing technique, this must is irrefutable, but the tone of utter dread is the true star of this piece. This is a film that David Lynch may have even considered while editing Mulholland Dr., particularly in that film’s haunting finale, but Outer Space makes that film look restrained in comparison, as the epileptic images and haunting distortion of the found film’s diagetic sound provide a relentless collage of nightmares. However, perhaps there’s a better parallel here. It seems that The Entity involves a woman who is sexually molested by an invisible demon (this is just inferred from the trailer, correct me if I’m wrong), but here Tscherkassky instead coaxes a sort of quasi-remake of Repulsion out of the material, repositioning the demons to the interior kind. A house lies dormant but nervous in the distance, terrified faces seemingly fold into one another, the interior finds itself melding into an impossible kind of architecture before its protagonist’s scared eyes… It’s an intense watch, one that could understandably prove troublesome for some viewers, if for no other reason than its assault on the senses, but its sustained tone is truly something to behold. I look forward to seeing this filmmaker’s new work, Coming Attractions, that made a splash at TIFF last year, and of course, delving into his rich ouvre more. Enjoy. See, there’s no way you can portray war realistically, not in a movie nor in a book. You can only capture a very, very small aspect of it. If you really want to make readers understand a battle, a few pages of your book would be booby-trapped. For moviegoers to get the idea of real combat, you’d have to shoot at them every so often from either side of the screen. The casualties would be bad for business. Such reaching for reality in the name of art is against the law. Hell, the heavy human toll is just too much for anyone to comprehend fully. What I try to do is make audiences feel the emotional strife of total war. See, you’ve got three faces. Your first face is the one you’re born with, the one in the mirror every morning, a touch of your mama in those blue eyes, Papa’s ruddy cheeks and thin lips, or maybe, like me, a set of crooked chops from an ancestor only some fake genealogist could identify. Your second face is the one you develop thanks to ego, ingenuity, and sensitivity, the one people identify as “you,” laughing at punch lines, downcast when things aren’t going well, exhilarated by passion and success, cold when confusion and fear set in, charming when seduction is part of the battle plan. Then there’s your third face. No one ever gets to see that one. It’ll never show up in any mirror nor be visible to the eyes of parents, lovers, or friends. It’s the face that no one knows but you. It’s the real you. Always privy to your deepest fears, hopes, and desires, your third face can’t lie or be lied to. I call it my mind mistress, guardian of my secret utopias, bitter disappointment, and noble visions. 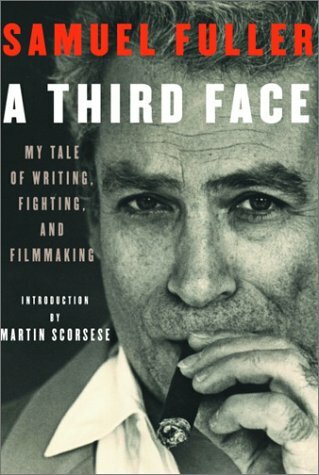 From Samuel Fuller’s masterful memoir, A Third Face, quite simply one of the most eloquent and exciting accounts of a life I’ve ever had the fortune of having read. Fuller was a born story-teller, from his days as a newspaper man to his ups and downs of remaining a true independent in all his years in film. Most remarkably, however, is the utterly transfixing account of his harrowing journey on the front lines in WWII, his days proudly wearing “The Big Red One”. An essential document of 20th century American history as far as I’m concerned. And a masterful display of his inimitable acerbic wit. Samuel Fuller. A Third Face. New York: Alfred A. Knopf, 2002. Well, I am happy to report at least some semblance of progress on the release of Orson Welles’ great lost film, The Other Side of the Wind, which I did a profile on here. The Guardian has just reported a development in the potential release of this unfinished masterpiece, and while it is met with some speculation over the potentially opportunistic nature of its completion without the direct participation of the author, the parties involved do seem to agree on its exhibition being of historical importance, and intend to release it with such reverence. I anxiously await the arrival of this film, and while I’m sure it will be met with a myriad of conflicted opinions on the nature of artistic intent, it will nonetheless another fascinating link in one of the most audacious and revolutionary careers in cinema. Danusia Stok. 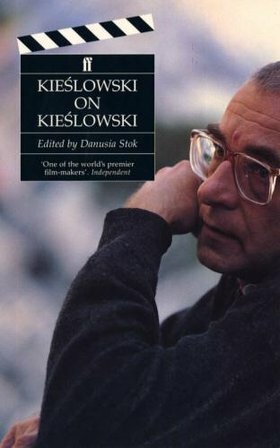 Kieslowski on Kieslowski. London, Boston: Faber and Faber, 1993. Sorry I’ve been away for a bit, but here it is folks… Next year’s front-runner, in a nifty two minute package. My heart is still racing. So I believe that any avant-garde retrospective should clearly begin with one film; not the first, nor the most exploratory, but most certainly the most beloved and well-known, Un Chien Andalou. So even if you’ve seen it before, once or twelve times, it’s never a bad idea to watch it again, and again, and again. Jesus, I’ve probably seen this film 10 times at least by now. It’s just unfailingly good. Brakhage began his career making fairly humble experimental films, often with his wife, peaking with the remarkable and, well, incredibly graphic Window Water Baby Moving, in which he makes a beautiful abstract film around his wife giving birth. Good luck! Later on, his career became pretty exclusively dedicated to the painting films, which are just hypnotic spectacles, often burying images so deeply embedded within the frames that it practically becomes a sort of Rorschach test of cinema. Black Ice is a particular favorite, a devastating film that has a sense of movement like nothing I’ve ever seen before. If Hitchcock’s Vertigo weren’t so perfect in every way, I would have fantasized about a collaboration with Brakhage. Brakhage had a sense of movement and falling that would go well beyond any realms of mere illusion. Nevermind, I’ll fantasize anyway. Jumping around a bit, let’s go back to the surrealists and the dadaists, shall we? The great contribution of this movement in cinema, was not only to shake up the mores and conventions of decency, but more successfully a playground for experimentation in movement. One gets the sense of sheer giddiness of invention that was still present in cinema as an art form. This kind of unabashed, childlike experimentation only comes at a special moment when the institution and rules have not yet sealed shut, allowing for an audience still thrilled by the mere spectacle itself and a group of filmmakers willing to move a camera in a way that had not been accomplished. This is my way of building something up that may not inspire much on actual viewing in this day and age; we are so pre-wired to accept this kind of movement that its experimentation does not seem to lead to much besides simple shapes and patterns oscillating on the screen. Not to mention the fact that it’s being viewed on a computer monitor as we speak. Nevertheless, while more refined efforts in experimentation of movement still impress greatly, such as Murnau’s Sunrise, one has to at least slightly admire the playfulness that these films by Man Ray and Marcel Duchamp have to offer. They don’t detract from the artists’ true masterstrokes, in photography and painting, respectively, but they point to a movement of pure abandon and (re)invention. imitated “mirror face” figure. Beyond essential. Deren’s exploration of movement extended into studies of dance itself, in a uniquely cinematic way. Here’s A Study in Choreography for the Camera. No discussion of the avant-garde can be complete without Jonas Mekas, a filmmaker important not only for his own, singular works, but perhaps more significantly for his position as a prominent cultivator and ambassador for the avant-garde. Mekas formed the Filmmaker’s Cinematique, AKA the Anthology Film Archives, one of the most important exhibitors of the avant-garde, even to this very day. 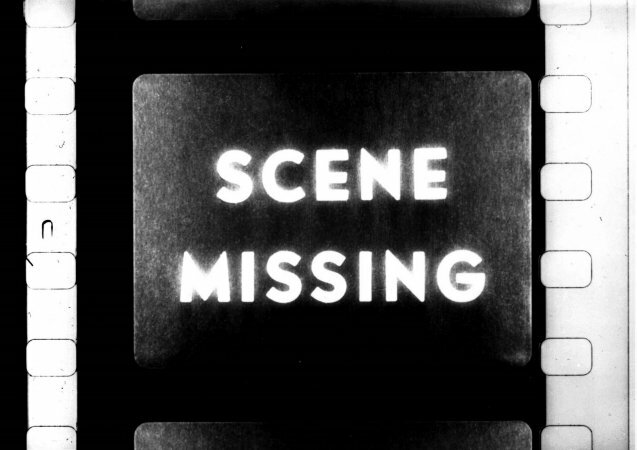 It’s due to Mekas that many of these films have remained in-print and even restored over the years, notably in a recent DVD retrospective, Unseen Cinema: Early American Avant-Garde 1894-1941. His archival work has a great deal to do with this very article, not to mention the widespread availability in which these avant-garde films can be seen, but he was an estimable filmmaker in his own right, a very personal and revealing artist, one who often used his films as personal diaries. 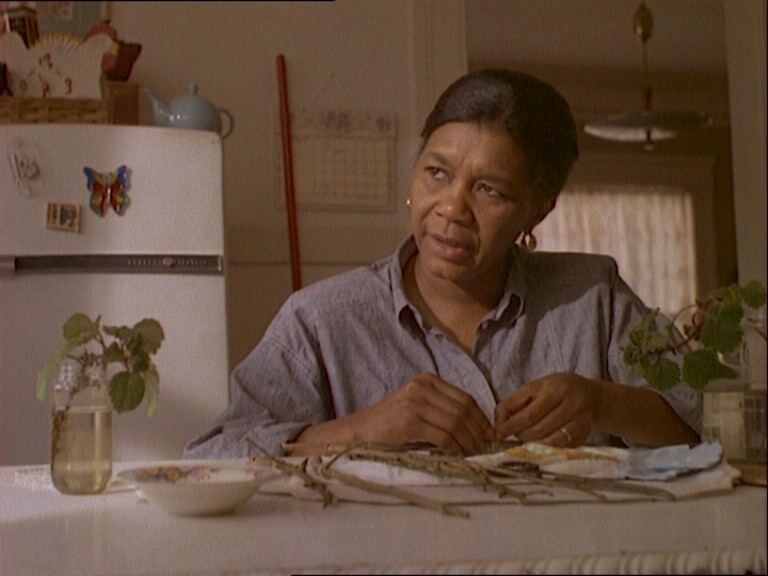 One of his more personal and accomplished films, Walden – Diaries, Notes and Sketches, unfortunately cannot be displayed in its entirety here, but comes off as a whiplash of a film, a poem to the burgeoning avant-garde scenein New York, with all of the key players, and of course, all of the abstraction one would come to expect from the godfather of the movement. As of late, Mekas has become an even more peculiar figure in the avant-garde, an increasingly exploratory filmmaker who proposed in 2007 a series of 365 films to be released on iTunes, a film a day for a year, and boy oh boy, there’s some wonderfully eccentric doozies in there, including a little piece exploring the Britney Spears head-shaving phenomenon. A restless spirit indeed. Speaking of restless spirits, seems like as good a time as any to detail very briefly the most fascinating of subjects, Chris Marker. La Jetee, which I have touched upon on this very site, is my personal favorite of the form, and at the very least one of the defining moments of the avant-garde, both in its perpetual influence and its impact on a larger exposure on the world’s scale of cinema, much to the dismay of many in the movement I’m sure. 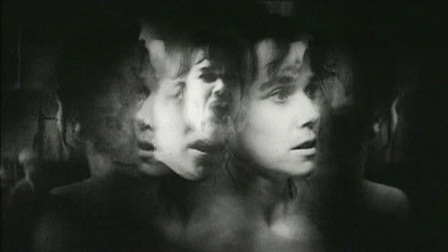 However, this does not insinuate a mainstreaming of the form seen in his works, but rather an influence drawn from Marker’s films into the hands of many an artist, which along with the fellow filmmakers of the New Wave, allowed for avant-garde tendencies to pervade the popular culture for a brief moment in film history, for better or worse. Marker, though, seemed to see this in his work, and being the transient artist he is, has followed an incredibly diverse career over a myriad of media, from film to video to CD-ROM to, incredibly, Second Life. Like Mekas, Marker seems to embody the avant-garde in his very persona, playing off popular media through the generations, always finding inspiration in the world around them, upholding no greater tradition and feigning no rules. You can get an idea about his Second Life in this film. It’s as peculiar as you would imagine. This list could indeed inevitably go on for pages and pages, so I am now going to briefly touch upon a series of other films vastly important to the contribution of avant-garde cinema. Hollis Frampton’s (Nostalgia) is a personal favorite of mine, personal filmmaking at its rawest and most poetic, and one that has bored film students for generations now. Necrology by Standish Lawder. Best viewed in its intended silence, but this clip infused with Grizzly Bear is longest I could find. This is the kind of film that just washes over you, hypnotic in its voyeurism. One of the finest examples of the avant-garde still alive and well today, in the works of filmmaker Bill Morrison. I’ve touched upon Light is Calling in the past, but certainly the most grand and affecting of his films is the hypnotic Decasia, a feature-length piece of anthropological filmmaking, as well as the history of cinema itself, and the way the medium was inherently temporary by design. It’s a stunning work, an intense rumination on how film shapes our collective perceptions, and the way the medium was inherently temporary by design. The avant-garde has certainly over the decades taken a turn towards animation, almost fulfilling the series of experiments conducted by Duchamp in the earlier years, as the exploration of movement is limitless in the form of animation. On this site, I have detailed a great many of the great experimenters of animation, some fully upholding the “tradition” of the avant-garde (that is, to accept no tradition at all). In fact, to even touch upon this influence on the world of animation would be to get in way over my head, as the two seem so inextricably tied to one another by now. However, it is a fascinating path to follow, on the public willingness to accept avant-animation as a popular medium (witness the explorations of the form inherent in Fantasia, or more currently, the rise of Adult Swim and Don Hertzfeldt), but also the near-complete rejection of experimental film in the live-action realm. Sure, filmmakers like David Lynch, David Cronenberg, and even someone like Ken Russell have successfully popularized avant-garde influences, they are just that, influences. Certainly the Adult Swim example confirms this tendency of the avant-garde to be accepted in short doses, while a long-form influence seems doomed to alienate its audience. Perhaps it’s the years of parody that have significantly altered the perception of what avant-garde cinema is intended to explore, surely the true curse attached to anything gracing the mainstream for a time. Then again, avant-garde cinema also seems to be defined by a certain impenetrable learning curve, a challenge to sit through the most experimental of forms and demanding complete attention in doing so. It will always thrive in the showcases of film festivals, rewarding the most adventurous of viewers, and guaranteed to infuriate in the process. This, after all, is the promise of the avant-garde; to ruffle feathers, to shake the conventions to their core. And, of course, to consistently blur the line… After all is said and done with this article, I haven’t done any better job of defining what the avant-garde is, nor have I intended to do such an incomprehensible thing. The thing that links these films together is simply a feeling of not being able to define what you’ve just seen, whether you enjoyed the experience or not. There is no proper genre distinction here, only a cinema of feeling and pure impulse.